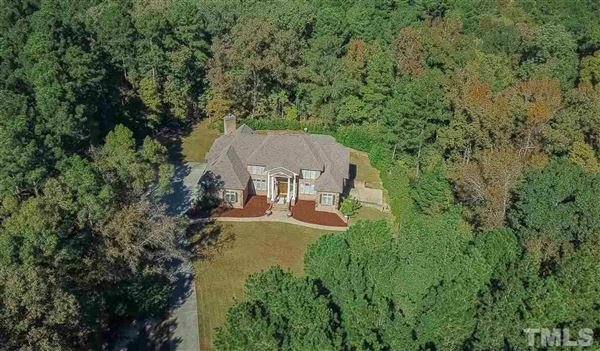 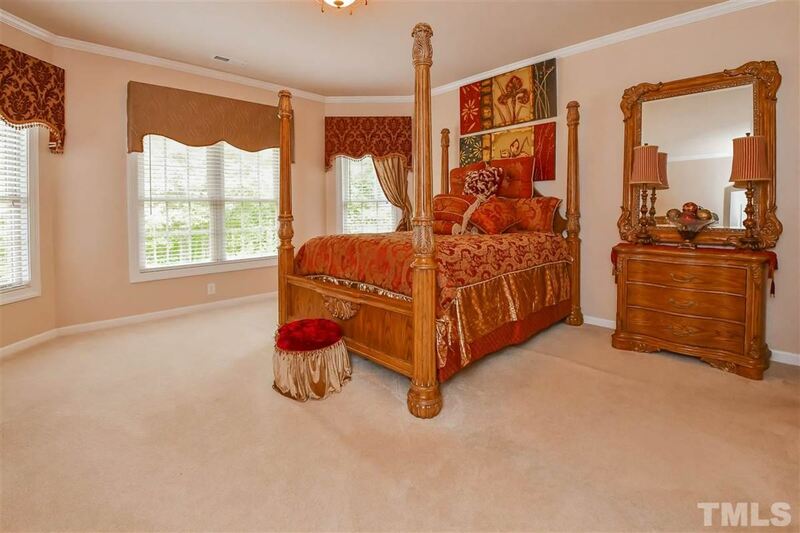 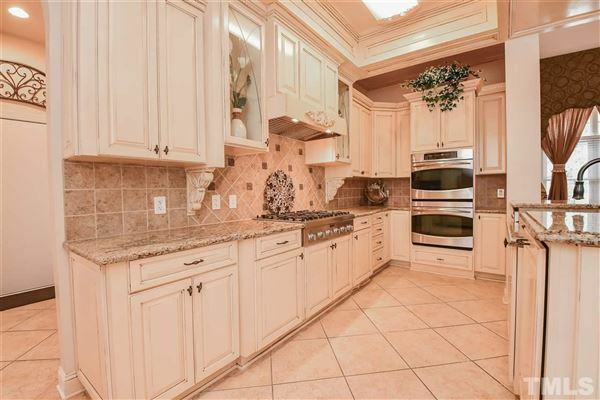 Luxury living on a 2.63-acre private lot just minutes away from both Parkside Commons in Cary and Southpoint in Durham. 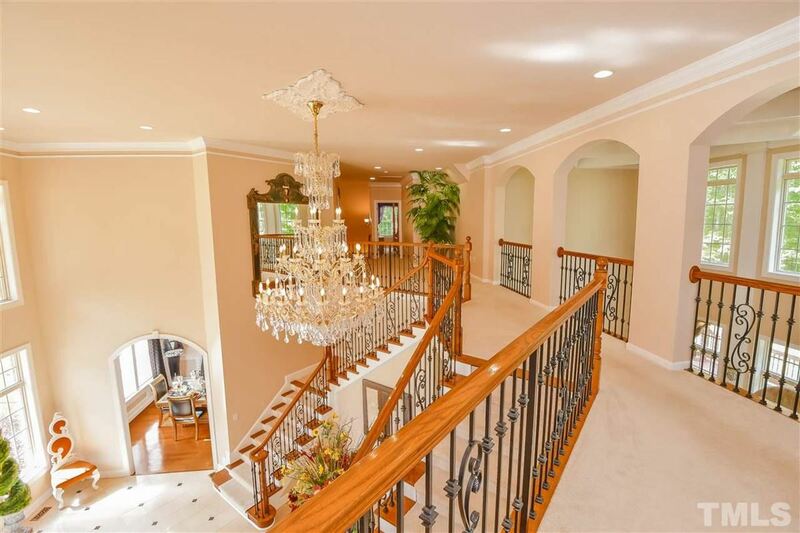 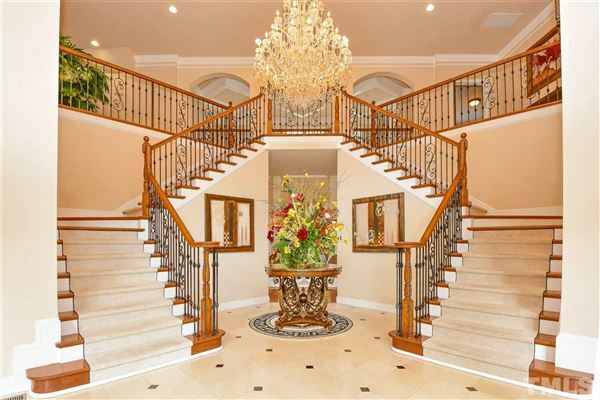 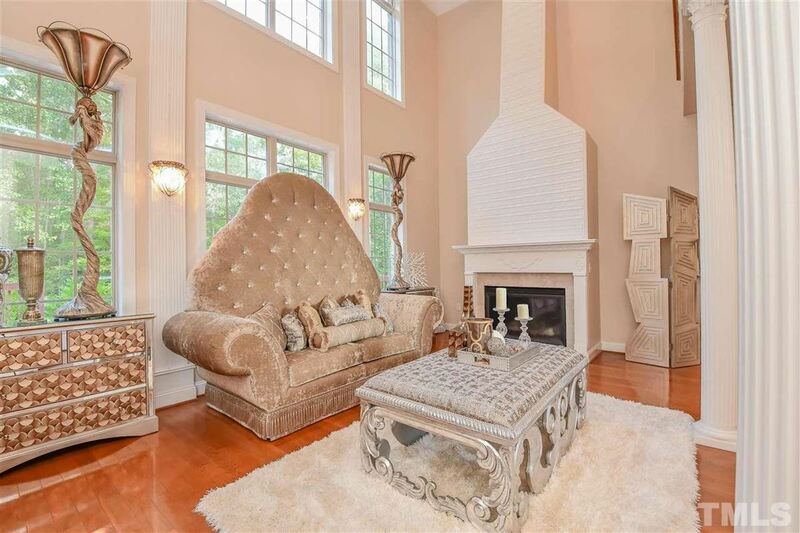 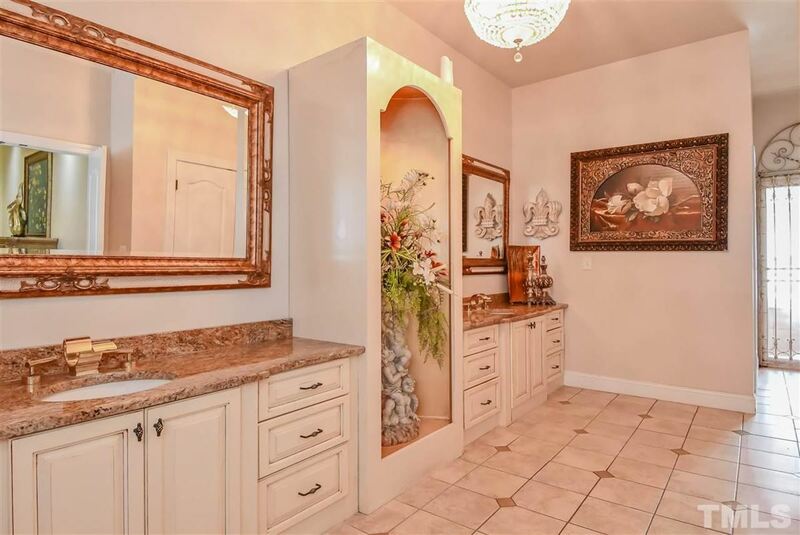 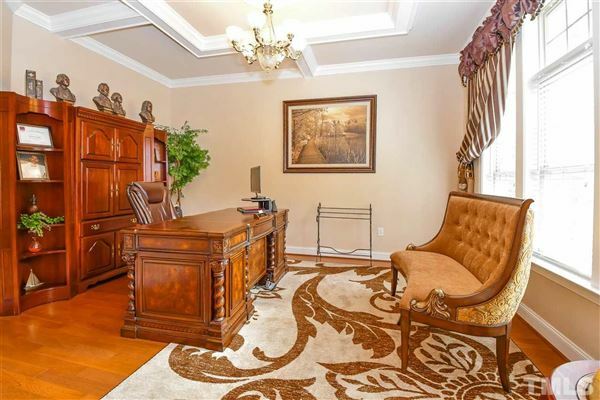 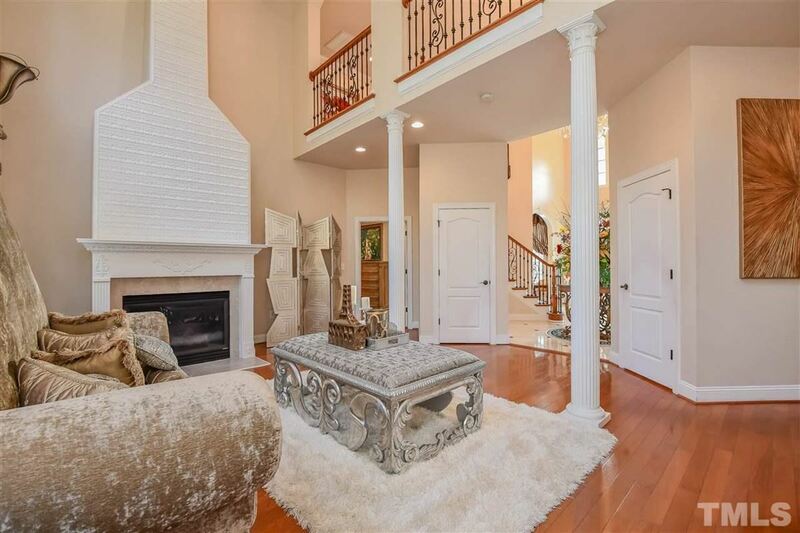 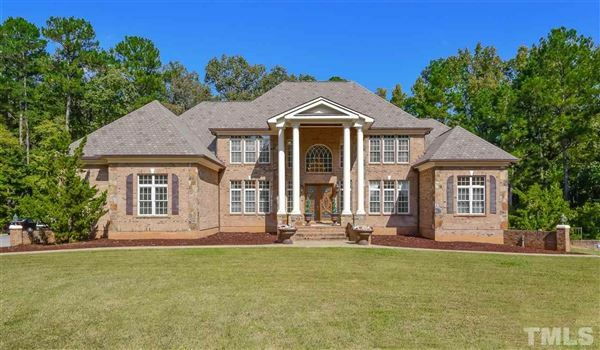 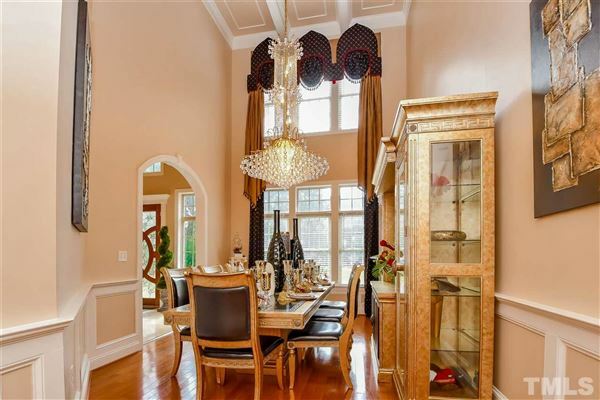 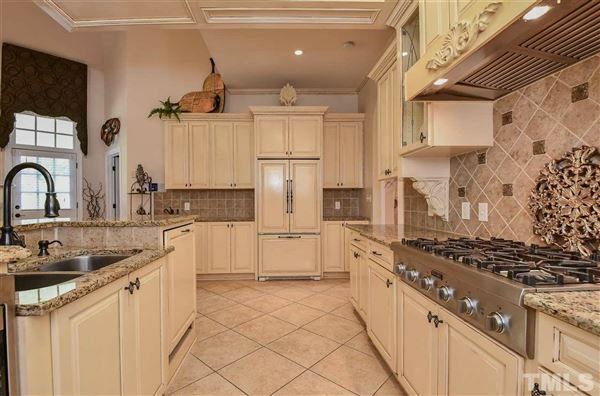 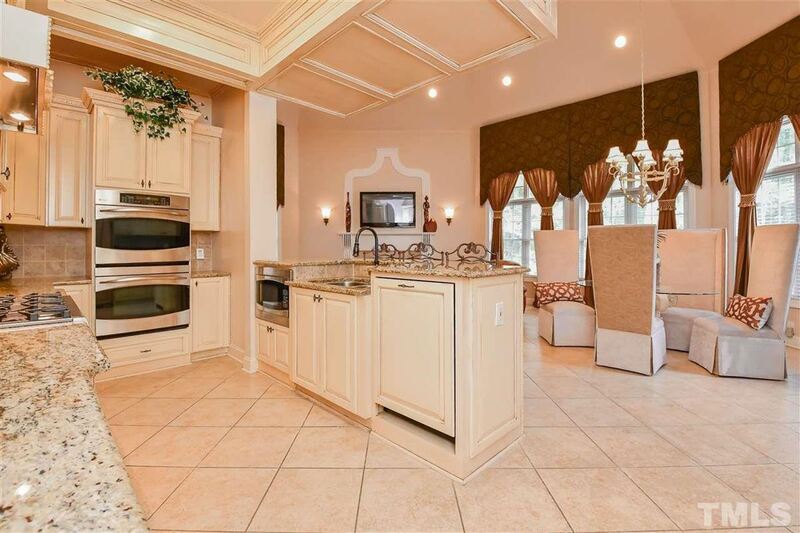 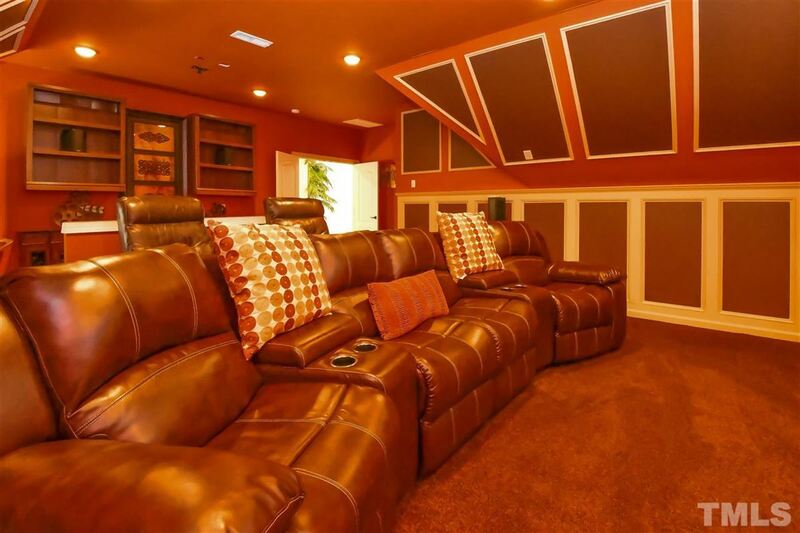 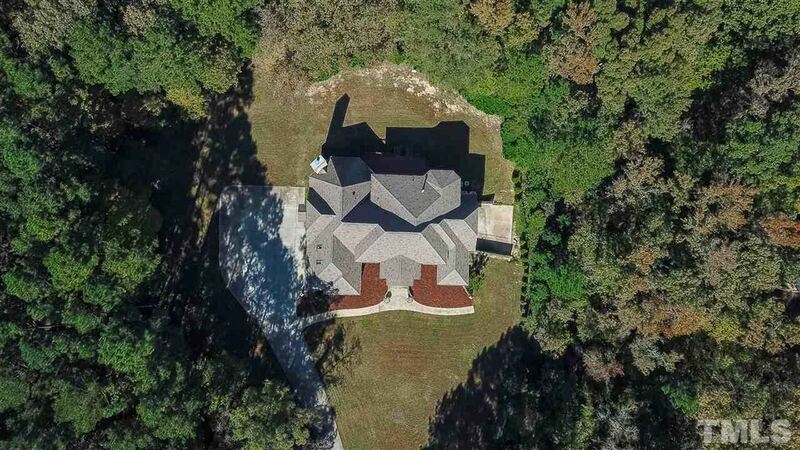 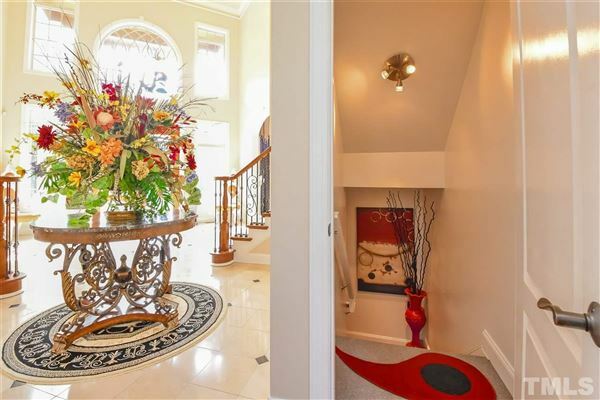 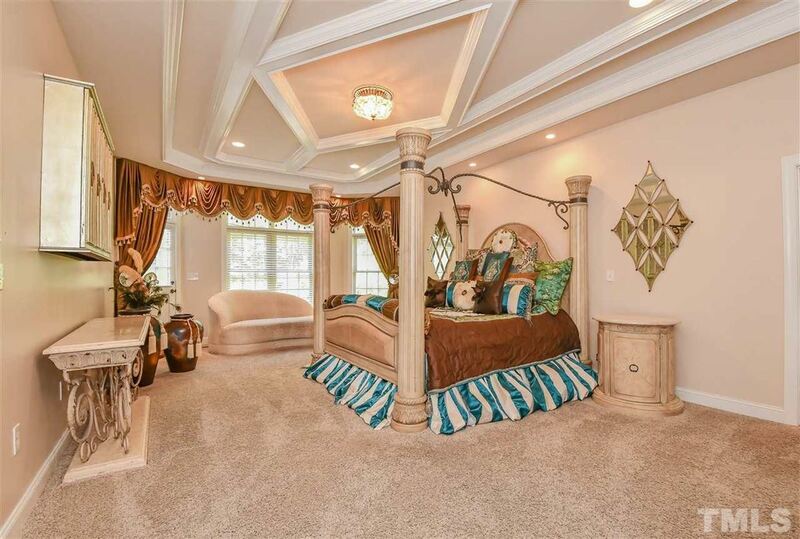 This gorgeous estate has quality throughout that includes: Marble Foyer Entryway, Elaborate Coffered Ceilings, five bedrooms (each with its own full bathroom), a finished basement, theater room, and third floor bonus room. 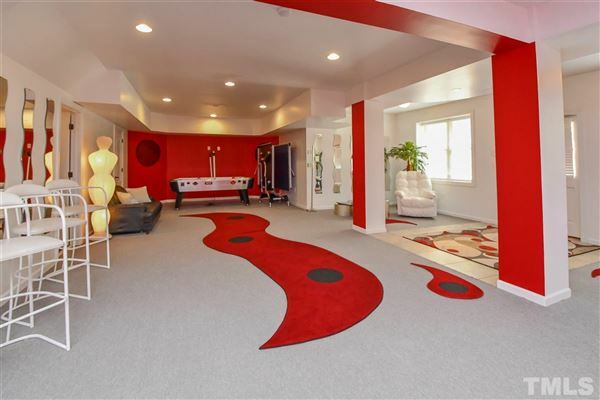 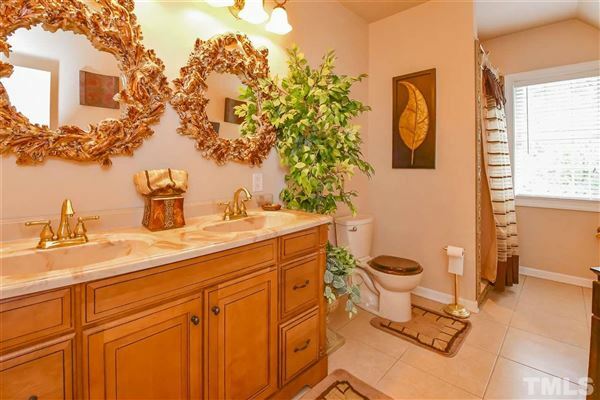 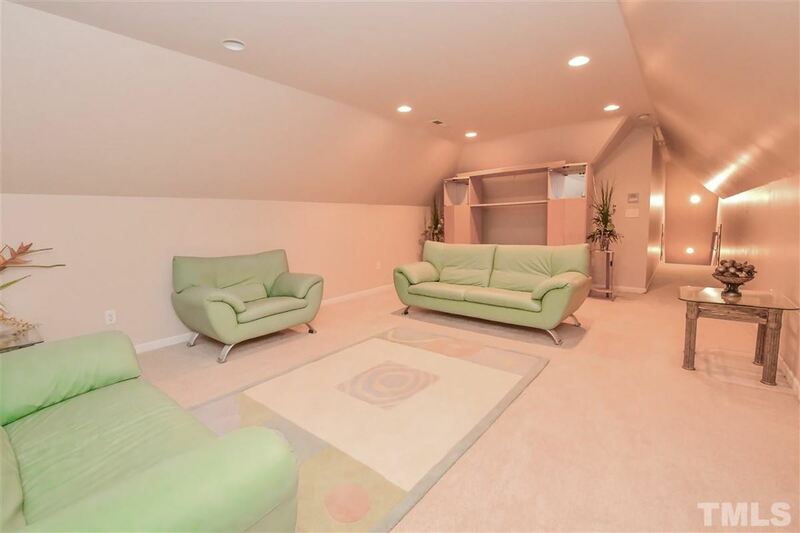 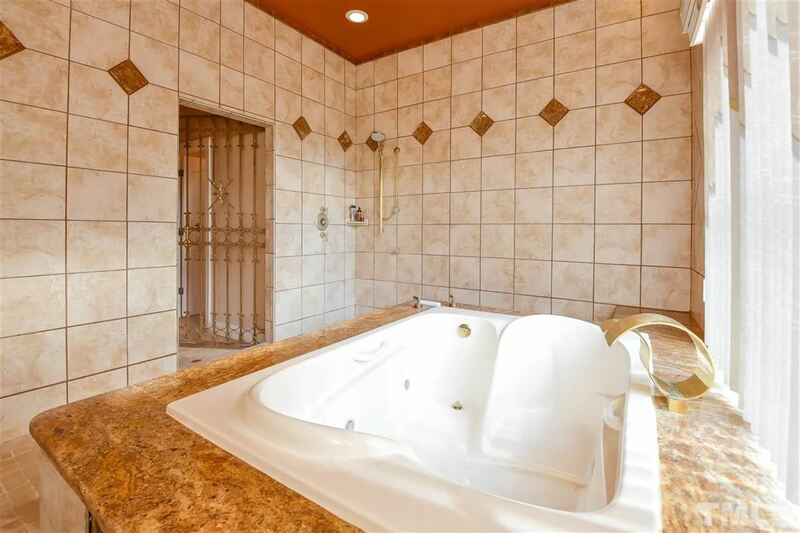 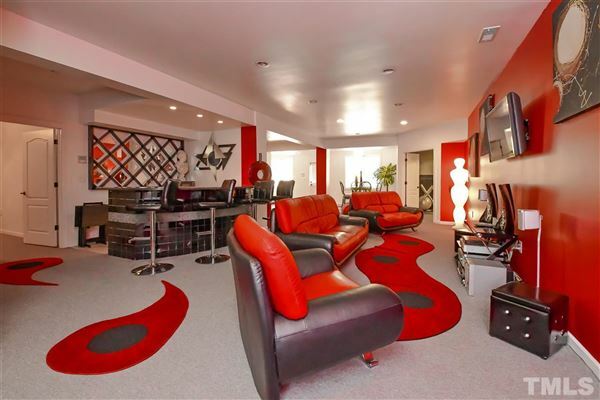 First floor master accompanied by a complete spa room with Jacuzzi tub and walk-around shower. 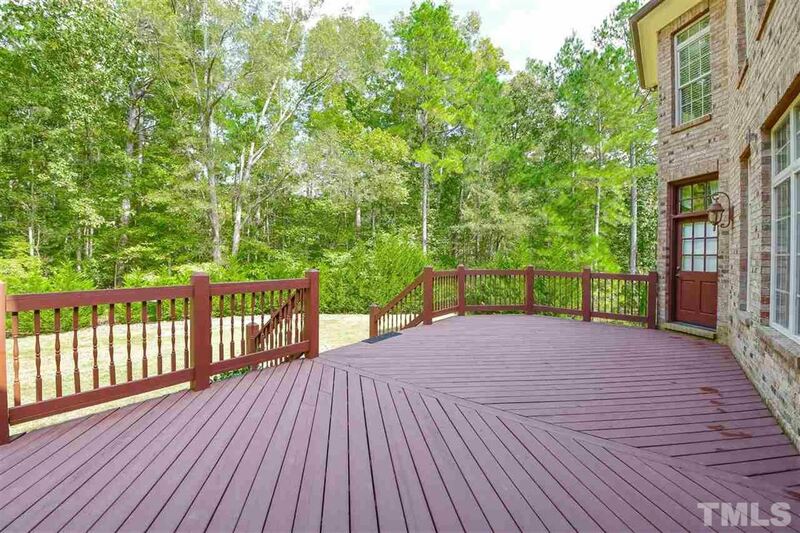 Expansive deck and landscaped grounds. One-year Home Warranty included.